Pengerang is reputed as the homeland of lobsters. 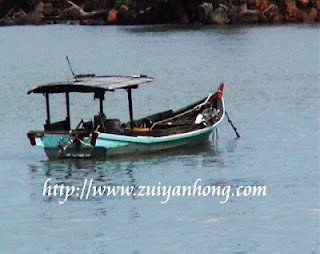 It's an area at southeastern tip of Johor in West Malaysia. As the mainstream media and internet media repeatedly publishes the news on Taiwan Kuo Kuang Petrochemical investment project in Pengerang, my wife and I specially went to Pengerang to find out what is going on there during May school holidays. This trip to Pengerang was not only to learn about Kuo Kuang Petrochemical issue but also take the opportunity to savor the lobsters of Pengerang. Pengerang is bordering to Pacific Ocean and abounding in delicious marine product. In case you like seafood then you shouldn't miss the seafood fresh from the sea in Pengerang. 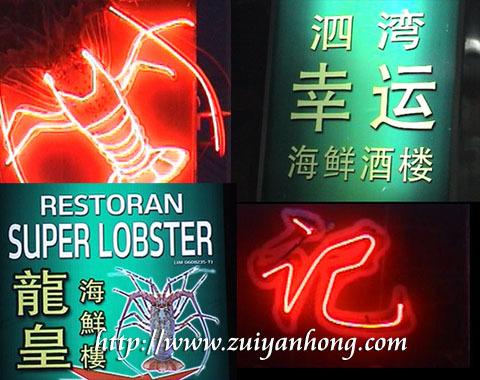 Regardless of your purpose of visiting Pengerang, you must taste the special local product of Pengerang, king lobsters.